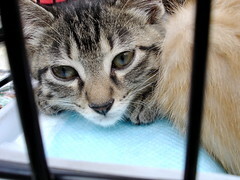 Tokyo Metblogs » Kitty Update. Kitten HAS been taken home by a family at school! A few weeks back I visited Minami Osawa and there was a group with cats that needed homes.